The Patriarch of Moscow and of All Russians Kyrill characterized as the most meaningful event of his visit to the Phanar the concelebration yesterday of a Divine Liturgy with the Ecumenical Patriarch Bartholomew at the Church of St. George. The Patriarch of Moscow and of All Russians made a particular reference to the processes which began at the initiative of Ecumenical Patriarch Bartholomew in 2008 for dealing with the problems of the Orthodox Churches. “From all our soul we are supporting the call which Your Holiness issued from here last year to the local Orthodox Churches, that we should be conscious of ourselves and function as one Church. This, our interpretation, comprises even our own sincere conviction,” said Patriarch Kyrill, speaking to Patriarch Bartholomew. 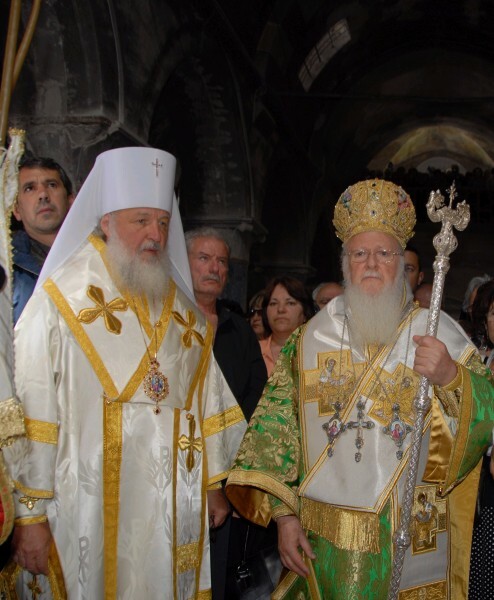 Patriarch Bartholomew on his side reiterated how “the structure of our Church according to Patriarchates and Autocephalous Churches in no wa signifies that we comprise Churches and not a Church. 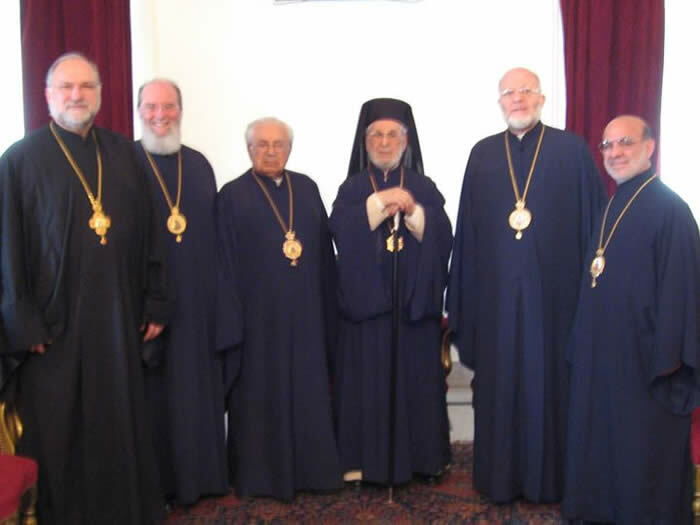 “The Orthodox Church certainly does not employ primacy of power, but also it does not lack a coordinating organ, not compelling but expressing the unanimity of the local churches. This martyr’s Throne humbly exercises the ministry from the ages and sacred tradition in absolute fidelity to the imperatives of Orthodox Ecclesiology,” he added.